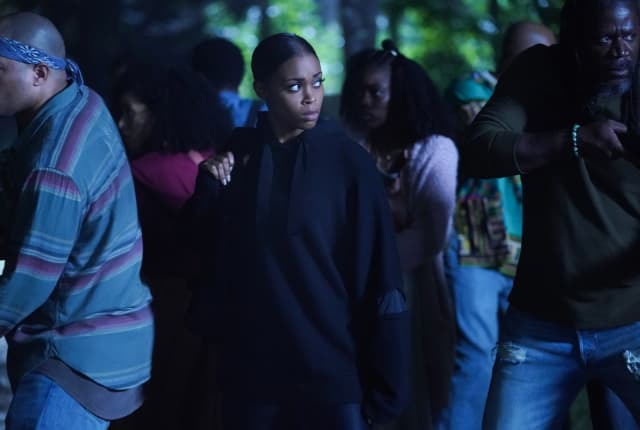 Watch Black Lightning Season 2 Episode 6 online via TV Fanatic with over 1 options to watch the Black Lightning S2E6 full episode. Affiliates with free and paid streaming include Amazon. Jennifer: I’m sorry you have to deal with all this alone. Hey, we’ll figure it out. Khalil: Yo, why you even giving me the time of day? Jennifer: This whole Painkiller thing is not you. We’ve all been through a lot. Plus, I don’t want you to make any more mistakes ‘cause you made some bad decisions this year. Like, really bad. Permalink: This whole Painkiller thing is not you. Jennifer: Okay, if we’re being honest, it wasn’t your fault those kids died. But technically, as the person in charge of the facility, it was your responsibility to keep them safe. So once again, even though it was not your fault that they died, they kinda were your responsibility. You get what I’m saying? Lynn: Thank you for your honesty. Permalink: Thank you for your honesty.